MISSION, KS--(Marketwire - February 8, 2010) - (Family Features) You've probably heard the saying, "You are what you eat." If this is true, you should eat healthy, right? In reality, most people struggle with their taste buds and their conscience on doing what's right. Most people know they should eat healthy. However, too many believe that healthy food can't taste great and be filling. These are common misconceptions that lead to poor food decisions. It is absolutely possible to serve wholesome dishes that have great taste and are filling, too. It all starts with choosing foods with the right ingredients. Read the ingredients list first. If an ingredient is at the top of the list, there is relatively more of it. Steer clear of artificial additives, because they're typically unhealthy. For example, High Fructose Corn Syrup (HFCS), Monosodium Glutamate (MSG), Autolyzed Yeast Extract (AYE), and Butylated Hydroxytoluene (BHT) are all ingredients you want to avoid. Review the nutrition facts and note the Daily Value (DV) percentage per serving listed next to each nutrient. Daily Values are the recommended amount of nutrients a person should get every day. Limit foods that are high in fat, saturated fat, cholesterol and sodium by looking for a lower percent of DV. Instead, choose foods with a higher percent of DV for fiber, vitamins and minerals. Visit the frozen food section. Some frozen foods have been frozen at the peak of freshness to protect their nutritional benefits, which means they deliver just as much nutritional value as -- or more than -- fresh products. When planning a weekly menu, use recipes that make the most of wholesome ingredients. These no-fuss recipes start with Contessa Frozen Convenience Meals, letting you serve up fabulous meals that don't compromise on taste. Serve them as-is, or get creative. Each ready meal can be used as a starting point for a whole new recipe with just a few changes or additional ingredients. For more recipes and a complimentary booklet loaded with tips to make you ingredient-savvy, along with a special guide on how to read a Nutrition Facts label, visit Contessa.com and request Volume 1 of "Better Ingredients. Better You." After you cook in a wok, wipe the inner surface with vegetable oil to retard any rust forming. The keys to delicious stir-frying are high temperature, short cooking time, and small pieces of food. Many home chefs mistakenly cook large portions, so the wok steams the food instead of frying it. Try using a larger wok‚ about 20 inches in diameter. Small woks simply boil food. If your wok is small, cook smaller portions. Prepare rice per instructions on package. Prepare stir-fry per instructions on package. 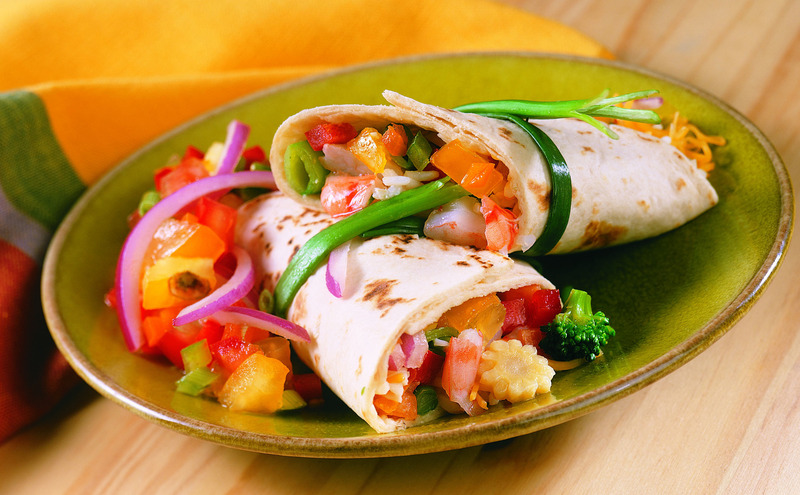 Lay tortillas flat, spoon in 2 tablespoons rice, 1 tablespoon salsa and 1 cup stir-fry. Sprinkle generously with cheese, then wrap. Prepare stir-fry per instructions on package, omitting sauce. Set aside. In a small bowl, whisk yogurt and lemon juice. Add salt and pepper to taste. In a separate bowl, combine red onions, cucumber and feta cheese. Season with black pepper and stir. Spread yogurt mixture inside pita bread. Add stir-fry and top with sliced tomatoes. Place desired amount of onion/cucumber mixture over tomatoes. Top with additional yogurt mixture. Prepare stir-fry per instructions on package, omitting sauce. Place in a bowl and refrigerate 30 minutes, or until cold. Set sauce packet aside. In a large bowl combine cabbage, almonds, sesame seeds and scallions. Place rice wine vinegar, sesame oil, sugar, sauce from packet and salt and pepper, to taste, into a blender. Blend for 15 seconds. Add chilled chicken stir-fry to cabbage and mix in desired amount of dressing. Serve immediately with crispy noodles.